He said that the Congress neglected the agriculture sector completely during its rule but his government is committed to empowering the farmers of the country. 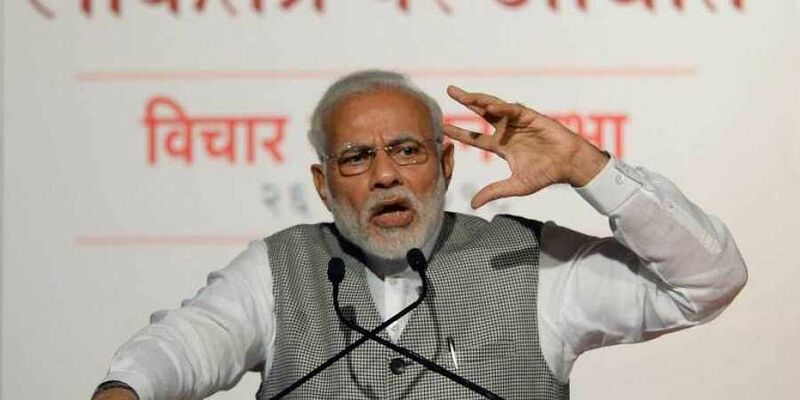 CHANDIGARH: Prime Minister Narendra Modi said that the Congress used farmers as mere vote bank as for decades as it made false promises and added that his government was working towards doubling farmer's income by 2022. He said that the Congress neglected the agriculture sector completely during its rule but his government is committed to empowering the farmers of the country and added that that the decision to hike the Minimum Support Price (MSP) was done to alleviate the sufferings of the farmers. "Ever since the BJP government took the historic MSP hike decision, the farmers are relieved, a big worry is gone. They are more confident of their produce now. Thus, now the Congress and other parties are now losing their sleep as the NDA government is working to let farmers sleep in peace and progress,'' he said. He said that be it farmers tilling the land or soldiers protecting the nation, his government is committed to upholding their dignity. "During the past four years, the way you have been filling granaries with record production, I bow before you. Be it wheat, paddy, cotton, sugar or pulses, all previous records are bring broken. Even now, new records would be set, this is being predicted,'' he said. Modi also listed the benefits of the recent decision on MSP and said that it will benefit Pattidars as well as land owning farmers. He also indicated more relief for cotton farmers, as he said, "we will not slackness in initiating measures for farmers.'' Modi told the farmers not to burn agricultural residue as it added to pollution. "Every year, farmers face issue of burning crop residual which cause pollution not only in Punjab but in Haryana and Delhi too. This government has launched a scheme in which farmers are no longer required to burn crop wastage. I also appeal to all farmer brothers not to burn crop residual but use it as manure,'' he said. Taking jibe at Capt Amarinder Singh led Congress Government, he asked people why the state lagged behind in developmental parameters in the recent world bank report, while the neighbouring state of Haryana which is ruled by the BJP stood third in the country. Former Chief Minister Parkash Singh Badal and SAD President Sukbir Singh Badal, Union Minister Harsimrat Kaur Badal, as well as Haryana Chief Minister Manohar Lal Khattar shared the stage with Modi. The venue selected for the rally is being seen as well-thought-out move due to speculation that Member of Parliament from Bathinda Harsimrat Kaur Badal may change her constituency in 2019 Lok Sabha?elections. A few farmers organizations protested also Farmers owing allegiance to various organisations held a protest and showed black flags as Prime Minister Narendra Modi arrived in Malout. The Punjab Police stopped the protesting farmers at a distance from the venue and some of them were also detained.